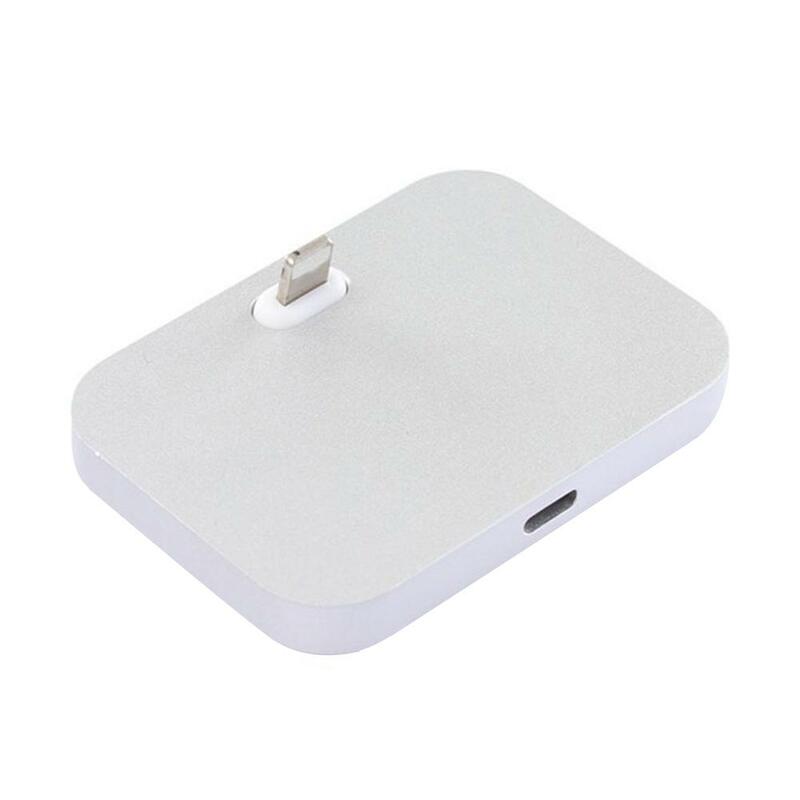 You just need to connect the dock to an electrical outlet using an apple usb power adapter and then place your phone in the dock to charge the battery. It is designed for ios 10.0 system iphone and it is small and light, very easy to carry. • 100% brand new, environmentally friendly materials. • Charge and synchronizes for your phone easily. • You can listen music with it when you charge for apple series. • You can connect the dock to your computer with the cable then place your phone in the dock and charge the battery. • Connect the dock to an electrical outlet using an apple usb power adapter then place your phone in the dock to charge the battery. • Unique design for iphone , small and light, easy to take away. • Charge your phone and sync data. • Mini and easy to carry, suitable for ios 10.0 system. • aluminum build, fine workmanship, even if your iphone / ipad with protective shell. • It doesn't come with a USB cable. This is such a simple little item, but it does exactly what it's supposed to. I bought it to replace a cord-included stand-up charger on my bedside table that failed after less than a year. It is very easy to thread the cord through (you have to supply your own, but for the price, it's hard to complain about that), and it is balanced and weighted in such a way that docking the phone is quick, simple and secure. I have even docked my ipad in a pinch, and that has worked quite well. I like it so much I bought a second for my spare room so now overnight guests can take advantage of this clever gadget. Works great! Has a nice premium feel, not cheap plastic. Charges the phone with no issues. Works with my apple silicone case no problem. Looks great and functions as expected. And this is legit review, I did NOT get the product for free or cheap in exchange for a review - so buy with confidence. I really enjoy this product overall. It keeps my cords organized and my desktop clean. It looks quite sleek. As other people have said, it could be heavier, but if you’re gentle with your Apple products, it should be fine.